HARLEM—Much of Harlem seemed to escape the wrath of Hurricane Sandy which left 10 people in New York City dead, more than 600,000 people in the dark and rescuers scrambling to reach people in danger in other parts of the city. "I see trees down and debris, but that's about it," said State Sen. Bill Perkins. On 116th Street near Adam Clayton Powell Boulevard, a snapped tree limb covered a car. And on 110th Street and Central Park North, a tall tree looked like it broke near the trunk and toppled over. A piece of board looks like it flew away from scaffolding on 114th Street and St. Nicholas Avenue. East Harlem City Councilwoman Melissa Mark Viverito said she was checking on damage at Thomas Jefferson Park, which flooded, but otherwise, the area was largely unscathed. "From talking to constituents, things seem to be pretty OK," Mark-Viverito said. 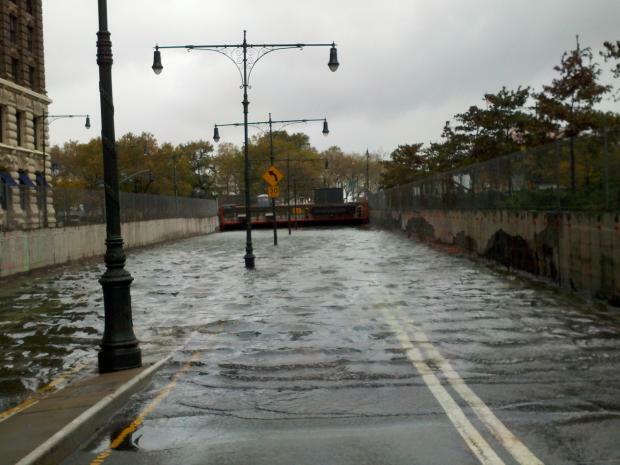 But at Esplanade Gardens, a large co-op complex at Lenox Avenue and 147th Street, over 125 people's cars were totaled when the East River flooded the Metropolitan Transit Authority's Lenox Terminal Rail Yards and spread into the lower level of a garage, buckling asphalt, and picking up and moving cars. Shocked residents arrived this morning to see their airbags deployed, windows open and wet car interiors filled with debris. "I'm devastated. I'm sick. That's how I get around," said Adrienne Blackett-Sparks, 60, a retired Postal worker who recently had a heart valve bypass operation and suffered a stroke. 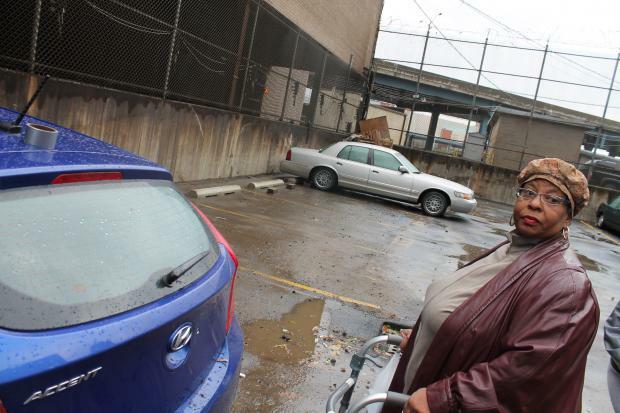 She looked on as her daughter Melody Jenkins, 28, a hospital worker, drained the water from their now totaled Hyundai Accent and tried to tape a plastic bag over a broken window. "All the doors were open, the glass was broken and the car was full of debris," said Blackett-Sparks. Rockieth Belle, 56, a vice-president of corporate travel and his wife, Robin, 43, a student, lost both of their cars, a 2008 platinum edition Cadillac Escalade and a Jeep Cherokee that Robin received as a gift from her husband last Christmas. "I just got it for Christmas. With a bow on it. Can you imagine," said Robin Belle. Luckily, both said they had full coverage on the car. Belle said she was taking the loss of both the family vehicles in stride. "Better my family alive than my car," she said as her young daughter looked on.